Bridge Design and Construction Engineering firm, Finley Engineering Group (FINLEY) is proud to welcome Sara C. Diaz, P.E. as Bridge Designer II to its’ rapidly expanding bridge design firm. 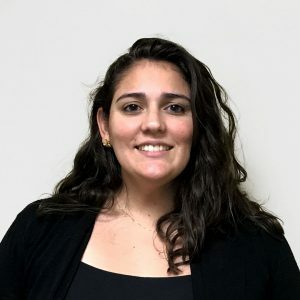 Sara has a Bachelors and Masters’ Degree in Structural Engineering from Texas A&M University and 5 years’ experience in design and construction of complex structural systems. She has work in a variety of roles as an analysis engineer, field engineer and project management/operations engineer for subsea construction and installation of structures, flowlines and heavy lift operations. As a field engineer, she was responsible for developing and coordinating risk assessment plans, optimizing worksite layouts and was an integral link between the project team and construction/marine crew. In her project management/operations engineer role, Sara was responsible for preparing project specific drawings, installation procedures, task assignments, engineered rigging and heavy lift plans for projects and tenders. “I learned about this opportunity from some former alumni and coworkers who are now working at FINLEY. I would periodically get calls, emails and texts from my friends about their exciting projects. I became very interested when I heard FINLEY was growing and they were looking for people with more project and operations experience. I am delighted to be working in a more dynamic and challenging role where I can apply my engineering, operations and technical experience.” said Sara. Sara will be the Project Engineer for the new Pensacola Bay Bridge for marine construction of the steel arch bridge and the Honolulu Light Rail Transit Center Station which includes 5.2 miles of new elevated guideway between Aloha Stadium and Middle Street. “Sara has worked globally on various marine/offshore construction sites and understands the critical link between design and construction. She is a strong project manager and has the ability to develop intricate details applying her technical skills and construction management experience. We are delighted to have Sara join our team.” said Craig Finley, P.E., President.